The Firebase Blog: 2014 in Review: Google, Queries, and more! 2014 in Review: Google, Queries, and more! 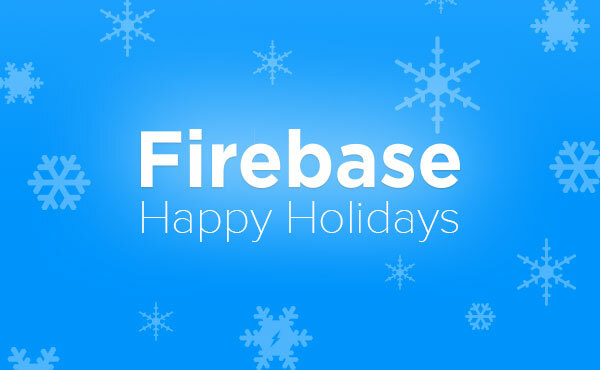 2014 was our best year yet at Firebase. We’ve grown from a community of 30,000 developers to over 130,000, introduced a static hosting service, reached one million concurrent devices connected to the Firebase servers, and joined the Google Cloud Platform team - and this is just a few of the things we’ve been up to! As we wrap up the year, we wanted to share the highlights with you and give you a preview of what’s coming in 2015. First, however, we wanted to thank all of you. We have seen you use Firebase for incredible things this year we could not have imagined. 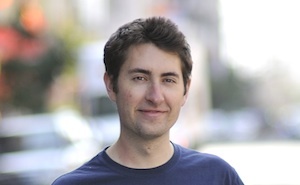 Y Combinator, for example, is using Firebase to power its Hacker News API. Such diverse use cases pop up every week because our community of developers make Firebase a platform other developers want to use. You help each other on StackOverflow, share sample code on GitHub, and are generous with your time and feedback. We would not have come this far without you! I’m deeply grateful for your active engagement, and I speak on behalf of the rest of the team. Technology startups are an uphill struggle, and we’ve been fortunate to reach a degree of adoption that is quite rare. You’ve helped us climb that hill and we plan to continue serving you in 2015 just as we have in past years. Firebase Hosting: To provide a way for developers to build, deploy, and host their applications on Firebase, we launched Firebase Hosting in May. We were blown away by the response, and we’ve seen over 7,000 sites deployed on Firebase Hosting since it launched. One Million Concurrents: There was quite a bit of celebration in the Firebase office when the total number of network connections to our servers reached one million for the first time. This means there are over one million users active on Firebase-powered apps at any given time. Firebase + Google Cloud Platform: In October we joined the Google Cloud Platform team! As part of Google we’ll be able to dramatically scale Firebase and give our developers access to a powerful cloud infrastructure platform. Watch our videos from Google Cloud Platform Live to learn more. Queries: After gathering feedback from many of you, we announced enhanced query support. Our new query features make it possible to order and retrieve data using a child key, by key name, or by priority. Triggers: At Google Cloud Platform Live we demoed an upcoming feature that will make it easy to connect Firebase with external services. You’ll be able to use Triggers to submit a payment, send an SMS, or ping a server for logging and analytics - all without writing your own server-side code. Stay tuned for Triggers in 2015.
ng-conf and EmberConf: We’ll be at ng-conf and EmberConf in March. If you’ll be attending, stop by the Firebase booth to chat with the team and learn about our integrations with each framework. Big things are coming in 2015. Follow us on Twitter and join our Google Group to stay up to date on the latest Firebase news. In the meantime, happy coding and have a wonderful new year!